Economical driving can be likened to a unicorn: some claim to have seen it, some still believe in it, while an unquestionable truth is that a lot of myths have arisen about it. There are drivers who claim that there is something to it, but on the other hand, there is a proportion of drivers who don’t believe in energy-efficient driving at all. If you have ever wondered about it, here are some facts for you to consider. The fact Number One is that a perfect rule for economical driving simply doesn’t exist. What however does exist, is a handful of green driving tips, and it surely can do no harm to get to know them. Let’s look at the myths first, because they are truly abundant. Well, it isn’t true that maintaining low revolutions maximizes fuel efficiency, as the engine will consume more fuel to attain a certain power level. Likewise, it isn’t true that small engines are more economical than highest-capacity ones because even if we do refuel for less, after several thousand kilometers we are likely to have to spend the “saved” money to pay for engine repairs. Again, it is a myth that we can economize on fuel by refuelling with a premium type, as using high octane fuel in a vehicle that is not designed for it, won’t raise its performance. Also, coasting isn’t going to result in huge savings, either. 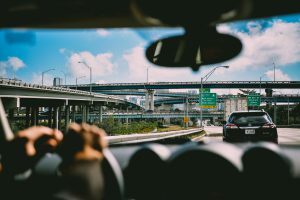 This driving technique has been known for decades, but unfortunately not only will it result in no financial gains, but even worse, it can prove extremely dangerous. Rather than coasting, a much better solution is engine braking. Well, what exactly is it? During engine braking, the engine is driven by the vehicle’s wheels, while no fuel is being supplied. Fuel begins to flow back to the engine only when its revolutions oscillate around 1,300 RPM, to avoid stalling. So if you want to maximize fuel efficiency, just take your foot off the gas pedal on an approach to a road bend or crossroads. It is important to have an engaged gear at all times. Press the clutch and reduce the gear when the engine speed drops to approx. 1,500 RPM, and continue till the vehicle comes to a complete halt. That’s all! What are the remaining myths about economical driving, which tend to recur in a brainless manner? Well, there exist allegations that cars take more fuel when they age, and that it isn’t possible to drive economically a car with an automatic transmission. As for the former myth: a vehicle won’t suddenly start going through more fuel. The truth is that it will burn just as much as it used to when it was new, and its age has got nothing to it. As for the latter, just handle the gas pedal more gently. Now, that we’ve run through what not to believe and what not to do, let’s check on the true stories. Driving a car, whether economical or not, requires anticipating traffic. By keeping a proper distance between vehicles we can utilize engine braking more often. Also, it’s recommendable to cruise at a constant speed. Each driver can probably say what speed is the most economical for his or her car. If however not, then the wisdom of the Internet can be of help, as automotive forums will give us some guidance. Let’s also remember to shift from the first gear up right after a vehicle starts to roll, as the first gear overuse is sure to add to fuel consumption. Finally, remember to check the tire pressure regularly! Underinflated tires do contribute to greater combustion. Finally, economical driving is not as difficult or intimidating as it may seem. Importantly, it can bring a lot of benefits to the car and the driver. All you need to do is to explore the subject and utilize some of the tried and tested driving tips.